In October of 2011, I stepped off the train at Edinburgh Waverley Station for the first time and instantly fell in love with the city. Long forgotten with my entrancement from London, I didn't recall how much I really appreciated this place upon my first viewing. It took my second time arriving to remind of what had captured my heart the first time. 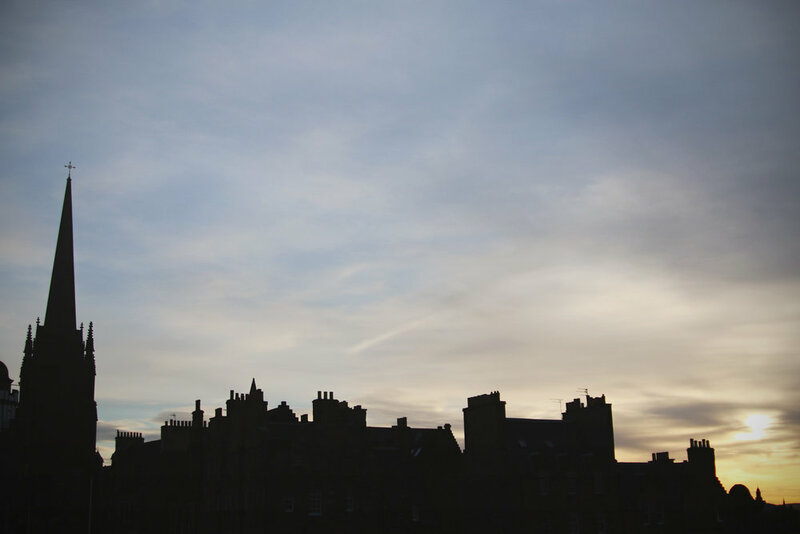 Whether day or night, early morning or twilight, Edinburgh is a magical place. Although my time in Edinburgh this time was limited, I was happy to be back. I arrived in the early morning, after a horrid ride on a sleeper bus (never doing that again), and walked out of the bus station to find my way to the check in point for my Highland tour. Even though it was only barely 7am, I could feel that deep gut feeling again, telling me that this is a place I truly enjoy. I found my way up to the Royal Mile, and remembered nostalgically walking this street four years ago. It was still as beautiful as ever. The sun was just coming up as I completed my check in and waited patiently for my tour bus to arrive. After my two day tour of the Highlands (for which a post will be coming soon!) 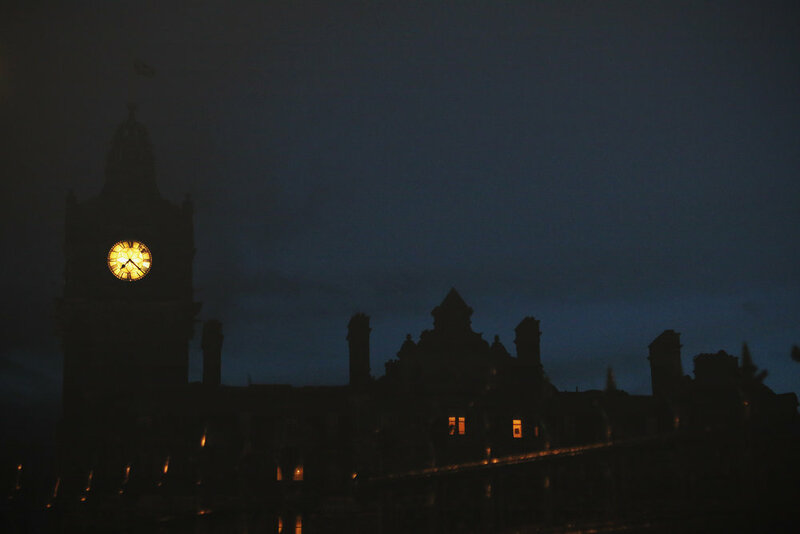 I arrived back in Edinburgh the following night. I was tired from the trip so I went straight to my hostel and went to bed early, knowing I'd wake up early so I could get some walking around time in before my train left. I went back to old places, like the castle and JK Rowling's old writing haunt, "The Elephant House." I was entirely convinced again that I'd someday like to live here. It may not be the hub of activity that London is, but it's a city with beautiful gothic architecture and an indescribable vibe that I latched on to. I suggest everyone take a trip to Edinburgh if you have the time. It's one of those places you can't miss. Plus, Scottish accents are adorable and everywhere you go!